Bluetooth 4.0 and all the other normal Chromebook features like a webcam and a 3.5mm audio jack. Samsung indicates that the battery life of the Chromebook Pro is 8 hours. Like the Chromebook Plus, the Pro has a 360-degree rotating display so you can use it in a laptop configuration or as a slate. While the Plus has been well received, it has been noted that it lacks horsepower at times. With the Intel M3 processor in the Pro, that should be a non-issue as it will be able to keep up with whatever you have going on. 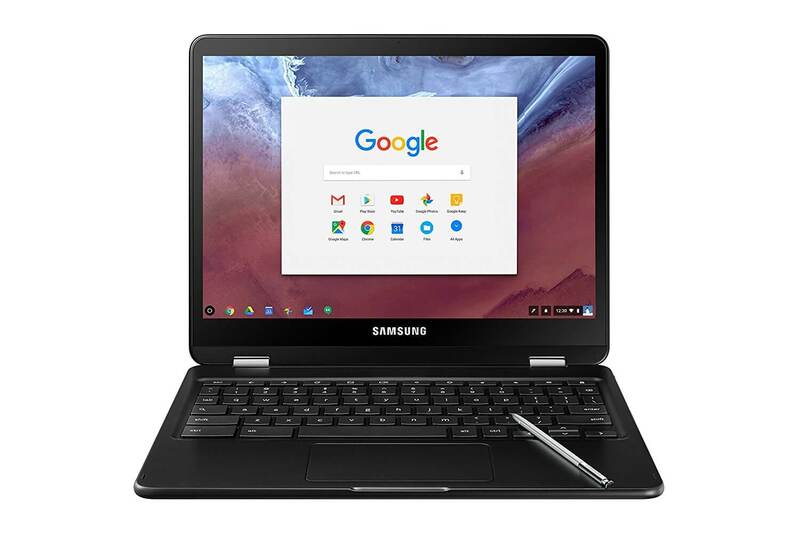 Head over to Amazon to pre-order your Samsung Chromebook Pro. Quantities will be limited and pre-orders will take priority over those who wait until May 28th to order. Remember that your credit card won’t be charged until the Chromebook ships and you can cancel up to that date with no questions asked.